I can say Indonesian Fried Rice or Nasi Goreng is a popular dish in the world. 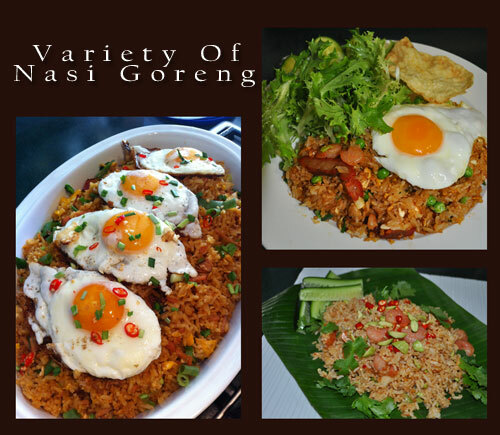 There’s a lot of variety ofÂ Nasi Goreng. You can add any meat or vegetables according to your taste. 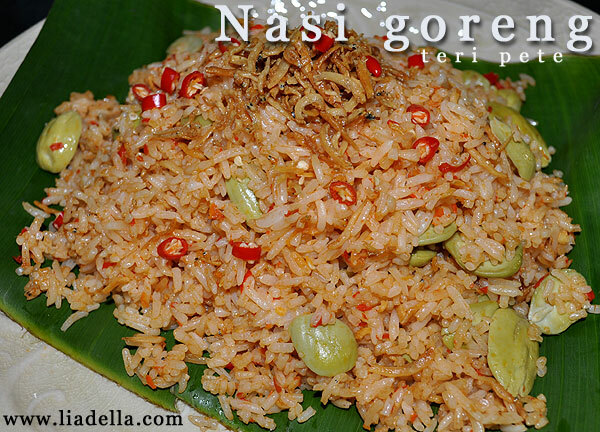 One of the my fav one is Nasi Goreng Teri (silver small anchovies) and Petai Beans. Here is some variety of nasi goreng I have made with some shrimps or chicken or bbq pork and fried egg. About 2 tablespoon good premium soy sauce. 3 asian onion or 2 brown pickle onion,peeled. Heat the oil in the wok or in a pan on medium high, stir fry the Nasi Goreng spices till fragrant then add the cold rice, mix well and cook about 2 mins. Add the sweet soy and the soy sauce, mix well then add your fav meat or vegetables, add salt and pepper as needed. Turn of the heat and serve.